Big and Tall men often have a harder time finding sportswear that they want, in the size that they need! 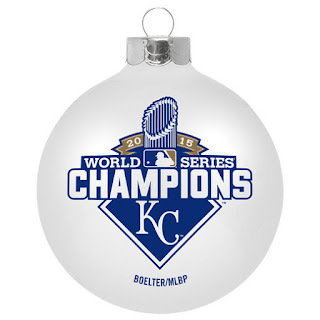 Congratulations to the Kansas City Royals and their devoted and passionate fans. It's been long time coming (30 years to be exact) since the KC Royals have been able to call themselves Major League Baseball Champions. They did it with clutch hits, great pitching, stellar fielding, timely baserunning, and the relentless will to win. 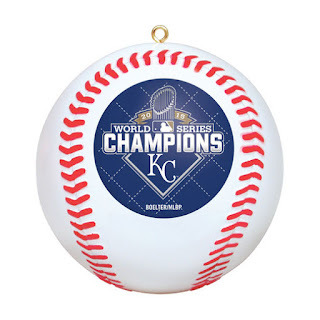 This Christmas will be extra special and these Kansas City Royals World Series Champs Christmas Tree ornaments will be one of those gifts that will bring back these joyful memories year after year when it's time to decorate the tree and you pull out these commemorative tree ornaments. Order tracking - 24/7 tracking is available in your private customer's account. Also phone reps and live text chat assistants can help you as well. Delivery fee - $4.99 flat rate fee for orders under $60.. Orders ship for free if the total purchase price is over $60. Order tracking - Telephone, email alerts and notifications, customer's account with login/password access. Delivery fee - $4.99 flat rate 3 day shipping. We carry the largest supply of officially licensed big and tall professional and college sports apparel that you will find online. Jerseys, T-shirts, and Jackets. Big and Tall Store - Find those larger sizes that you need for your favorite team!